"The setting is fantastic - a very rough blue sea and white sand. We had a great meal and Bintangs, swam in the pools and overlooked the wild but magical sea. A must do for anyone on the island. The food is over cooked but it was worth it just to be able to enjoy the beach. I would definitely recommend. " 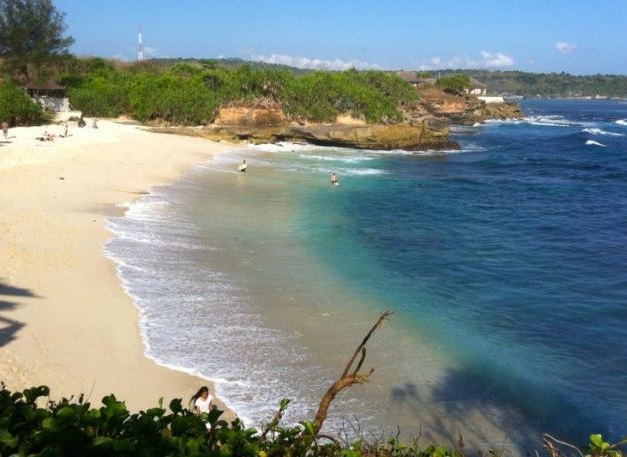 Lembongan hides some really pristine and untouched beaches. The island is surrounded by aqua blue waves. 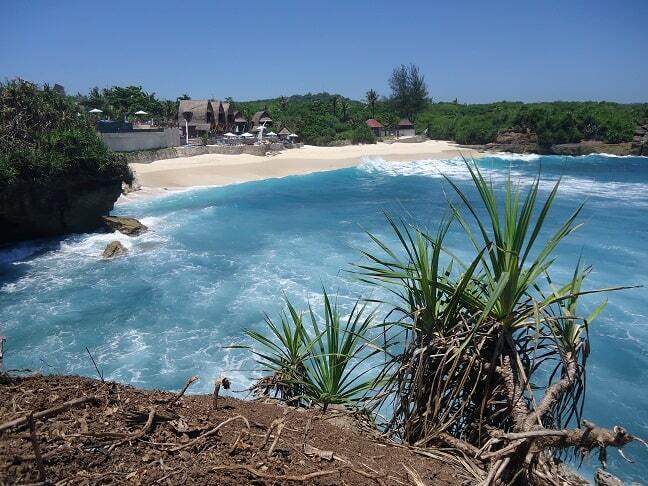 Dream Beach is a white sandy beach on the southern coast of Nusa Lembongan. This place is absolutely stunning and it makes the bumpy, treacherous bromfietsrit more than to get there. I bet you will be hypnotized by the sparkling blue waters, fine white sand and calm environment that you find at Dream Beach. The beach is great to spend a day in peace. The sea here is pretty wild and the currents are quite strong, so it is not advisable to go swimming here. The waves are pretty strong and it's not recommended for small kids to swim around. Dream Beach is a great beach to blow out back and enjoy the beautiful scenery. 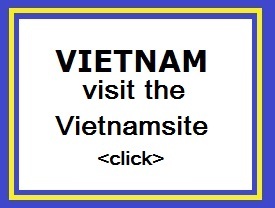 At the beach there are several taverns and resorts, where you can eat and drink quietly. You can spend the day hanging out at the pool, or you can relax on the beach. You should avoid, that you eat in your hotel restaurant. Not because the food is bad, but hang out somewhere else is much more fun. Go enjoy the view and take a few drinks, there's a large variety of drinks. There are only about three roads on the island, so you can not really get lost. Eventually you come to a dusty path and then you come on top of a cliff and looks down and sees an idyllic white sand bay. Then you have reached Dream Beach. Renovated in 2010, the Nanuks Bungalows guarantees guests a pleasant stay whether in Bali for business or pleasure. From here, guests can enjoy easy access to all that the lively city has to offer. With the city's main attractions such as Tanjung Sanghyang Beach, Dream Beach, Jungut Batu Beach within close reach, visitors to the hotel will just love its location. Take advantage of a wealth of unrivaled services and amenities at this Bali hotel. Top features of the hotel include free Wi-Fi in all rooms, 24-hour room service, Wi-Fi in public areas, car park, room service. Step into one of 11 inviting rooms and escape the stresses of the day with a wide range of amenities such as television LCD/plasma screen, private pool, internet access � wireless (complimentary), non smoking rooms, air conditioning which can be found in some rooms. The hotel offers many unique recreational opportunities such as private beach, outdoor pool, indoor pool, spa, massage. With an ideal location and facilities to match, Nanuks Bungalows hits the spot in many ways.